Griffin have released the Griffin Evolve Wireless Sound System, which sounds like it’s a nice piece of high-tech equipment designed to take on other wireless sound systems such as the Philips Streamium range or the Sony Giga Juke. Sadly, its nothing of the sort. 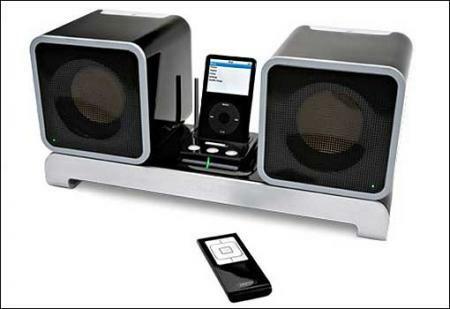 What you get instead is a set of speakers and an iPod dock. So where’s the wireless part come from, you may ask. Simple: the whole thing runs on batteries, meaning there are, quite literally, no wires! Sometimes it’s the simple ideas that are winners!